Why I would never buy from Keepsake By Ryo - An honest review. 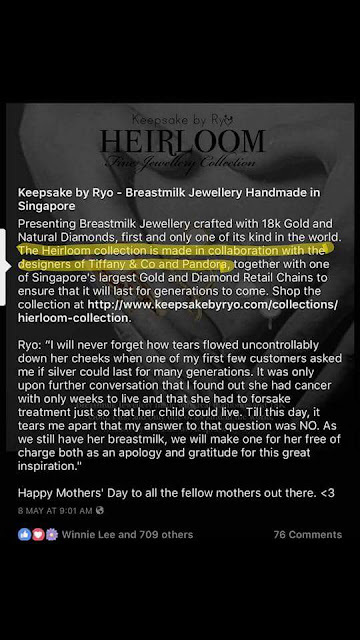 I came across Keepsake by Ryo who makes breast milk jewelry not long ago. But after reading so much about her on the breastmilk keepsake facebook group, I was appalled that such a seller exists! Gosh... here are the reasons why I would not pay a single cent to them. We found out that she lied about their products. 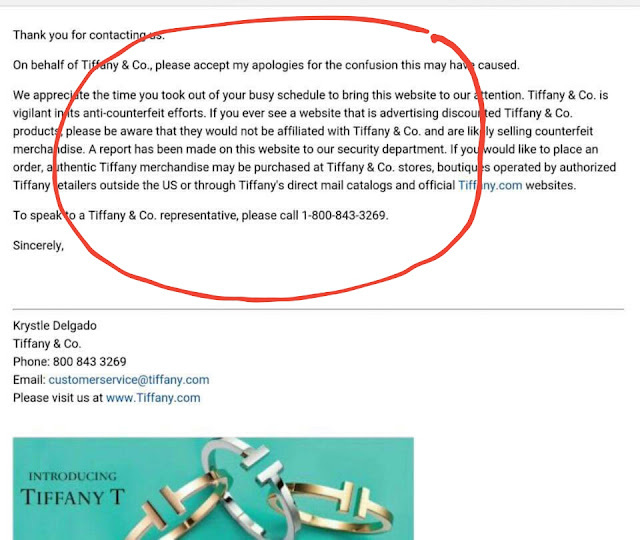 They claimed they worked with Tiffany & Co and Pandora in designing their jewelry but it turned out to be a hoax. 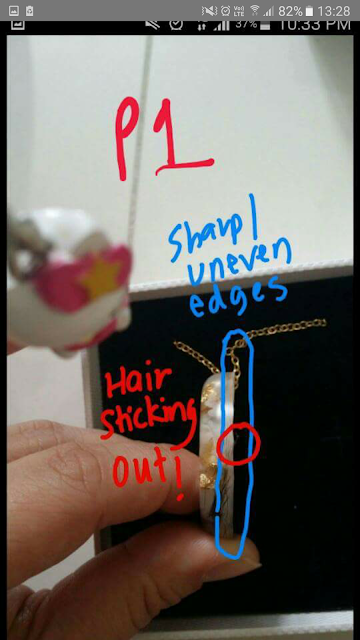 A mummy confirmed this with a reply from tiffany & Co. It was mentioned in the facebook group that Pandora denied any collaboration. 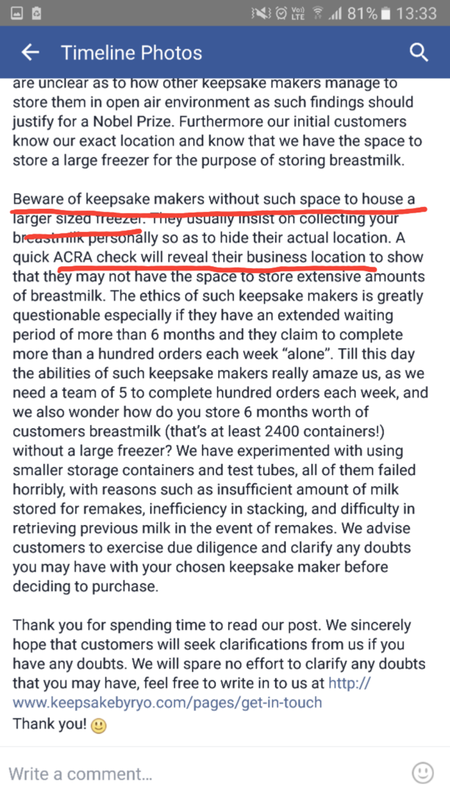 Someone exposed this lie in the Breastmilk Keepsake FB group. 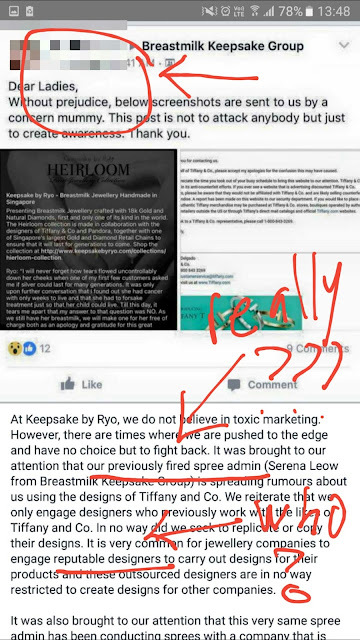 And instead of apologising to her customers for this mistake, Ryo posted an un-mosaic photo of the person who exposed their lie on their fb page and twisted her words (in other words - flip prata here and there; pardon my colloquialism) to say there is no collaboration and people misunderstood her words. They included the photo of poor Serena and her innocent children. I had to personally mosaic her photo here for the purpose of the blog. Ryo had no respect for others. How would she have feel if I screenshot her profile photo and said she lied to all of us? I have more human decency to respect her and her family. But she didn't. 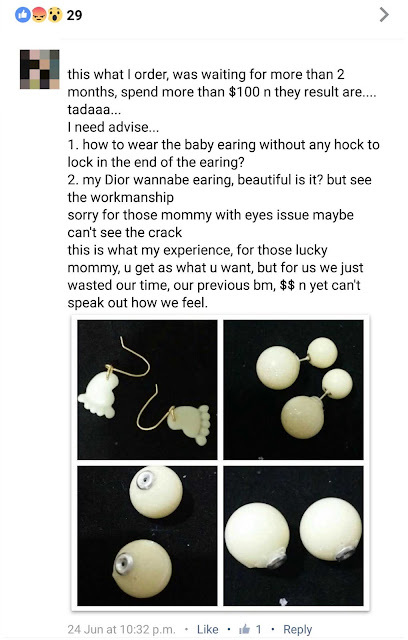 There are also serious quality issues with her products. Several mummies shared photos of what was being sent to them on facebook. Check out this. Ok. We know handmade products can never be perfect. The breastmilk jewelry were made in a rush because of the hundreds of orders they receive and obviously they didn't have time to QC their stuff before sending it out. Customers would have been understanding if you settle it amicably with them. But heck no! 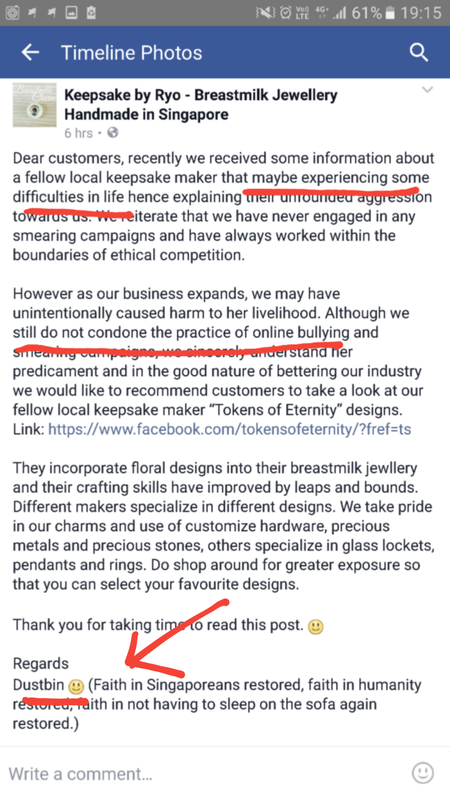 Keepsake By Ryo called their customers "terrorists" and turned off reviews on their website instead of answering the poor quality issues from various mummies. Check out the evidence below. 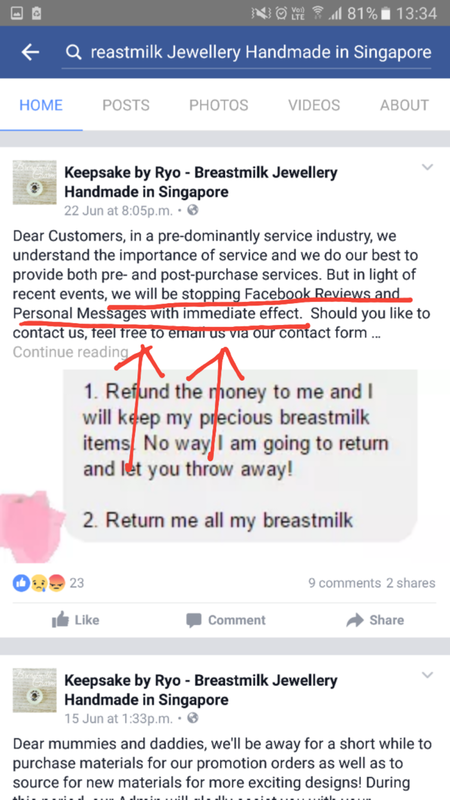 If that was not enough, she started to boast about her huge freezer and warned others not to buy from her fellow competitor whom she stalked on ACRA to fish out her hdb address. There's something seriously wrong with this Ryo. Does she think that living in a hdb masionette equates to living in a big space? She has offended 80% of Singaporeans who stay in "only HDB flats". We are all aware that hdb masionettes are meant for the sandwich middle income class in Singapore. Its to bridge the gap for those who cannot afford a private property. Nothing to boast about. There are far more wealthier people in Singapore. And we respect HDB dwellers. Small space doesn't mean no space. 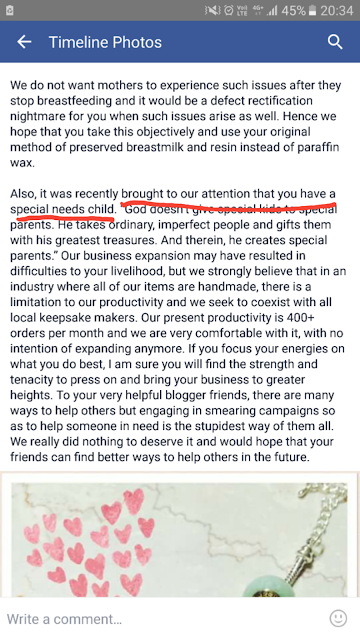 Instead of solving her quality issues, she has to bring up the fact that her fellow competitor has "difficulties in her life" and "has to deal with a "special needs child". That's being really insensitive and gloating over other's people misfortune! How can you read it any other way? I don't think any person in the right frame of mind will say such things. For Chris' sake, it doesn't concern you at all. Do you know basic respect for people? So what if you make 400 pieces of keepsakes every month? Need to brag again? Since you dare to publish it, you jolly well make sure you pay your taxes every year. If not, IRAS will come knocking on your door very soon. Now who is this business owner at Keepsake By Ryo? It had been reported she used to run a tuition centre but now no more. And she was an ex A level economics teacher. We are all aware that the tuition industry is a very competitive one. It's such a great shame you need to close your shop. But to run a business, we need to do it with heart. The teaching profession is a noble calling, but your acts are far less than noble. Thank goodness such a black sheep like you has been taken off this noble calling. I cannot trust my child to be taught by such a teacher. There is no need to keep challenging your competitors to win Nobel prize for this and that. First of all, you need to upgrade your skills and not offend your customers with your rough handiwork. Secondly, instead of switching off your reviews, you need to hire a PR manager to handle your multiple complaints. Turning off negative reviews is not the way to go. Thirdly, you need to place your hand on your heart to ask yourself where your conscience lie. Is it in the "dustbin" which you so much love to sign off with? Let me show you a screenshot of your signature, in case you have forgotten about it. 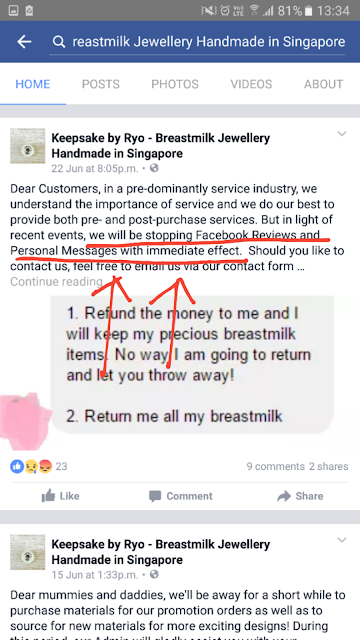 I hope mothers in Singapore know where to put their money if they want to make breastmilk keepsake or jewelry. There are many similar businesses out there with better ethics, make better quality products and have better after sales service. At the end of the day, we want to spend our money happily. If you cannot keep up, stand aside! By the way, I don't get paid to write this negative review. The screenshots are all evidence of what I have seen. P/s: I will be updating on this post, in case this ex tuition teacher cannot take my honest review lying down... maybe she should stand up to read? Sorry for the pun. Haha. The aftermath: Ryo claims that the abusive replies are written by her husband who has anger management issues, but it turns out that it was her writing all these abusive replies all along, not her husband. 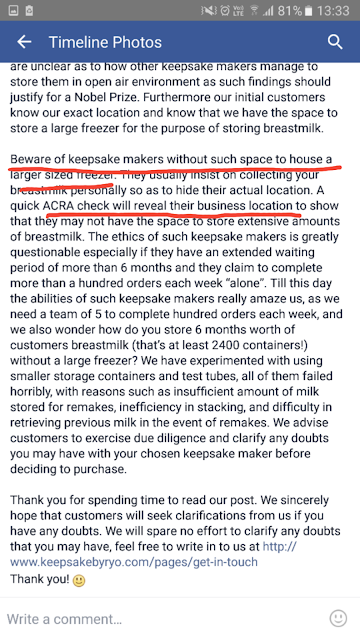 It was exposed by the administrator of the breastmilk keepsake group who compared her writing style with that of her husband on their Facebook accounts. I am totally put off by the purchase experience with SNK Solid Wood Doors that I find that I need to spend 30 minutes of my precious time penning this review to warn others not to get anything from them. 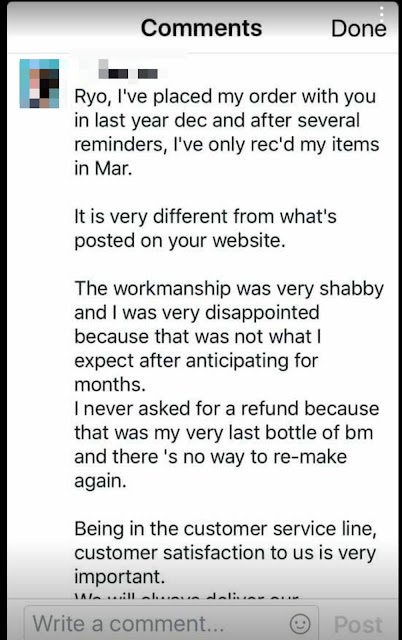 I will be attaching photos here to explain what happened and the utterly disgusting after sales service the boss himself provides. I am not someone who will mince my words when it comes to reporting bad service. He doesn't deserve any kind words from me. It all started with my faulty Dorma Door Closer. If you are into home renovation, you would know there are three ways to stop a door from slamming against the door. And installing a door closer is one of them. The other two is to use a magnetic door catch which is placed at the bottom of the door and the last one is to buy a rubber door stopper. So I have installed this 3 years ago when I moved into my house. And the original wood door was installed by the S&K Door (also known as SNK door). The solid door costs $900 at that time, and amongst them I ordered a few other doors from them as well with a bill costing thousands. The dorma door closer costs $180 each during that time when I ordered it. And now in a span of three years, it has increased to $190. I have more than one dorma door closer in my house. Just a word of caution to those who wanted to install such door closers, it will give way after 2-3 years. I have tolerated with the problem for quite some time before I decided to call in Ewins Marketing Pte Ltd (the distributor and installer of dorma door closer in Singapore. This Ewins Marketing apparently has no website and no email on their invoice in this day and age - scary. I wonder how they manage to clinch the distributorship of Dorma. Anyway, I started calling dorma who directed me to Ewins and their salesman told me to rip out the whole door closer to install a NEW ONE. What the heck! You mean I have to rip out and re-install a new door closer every 2-3 years? I manage to speak to the boss of Ewins (Raymond) who then directed me to another salesman called Jonathan. In the end, they agreed to replace only a spare part of the door closer which is spoilt. According to them, it is not functioning because of "wear and tear". But it is just after 2 years! So long story short, they send the first team of technicians who didn't know what they are doing. Ended up with a deep scratch on the door closer. See photo below. And they send a second team to replace the arm. And the second time they did, the door is misaligned because of the way they screw the door closer. The door was dragging the floor when it was closing. Despite this, they refuse to acknowledge it is their fault and claimed that it was the problem of my door sagging due to age. Ridiculous! I found out much later the door is not sagging, but the door closer is not screwed properly. So they insisted I call in the door company to rectify my "sagging" door. That is when the whole business got even worst. S&K or SNK door sends an old uncle to come to diagnose the problem. But you know such door technicians are usually not very sharp. So he ripped out my door and started shaving off the wood at the hinges in an attempt to hoist the door up again. The uncle didn't even bother to apologise for his mistake. I called the office at S&K (SNK) door and was attended by a group of HALF BAKED AUNTIES who had very poor service standards. In the end I manage to speak to the boss of S&K (SNKDOOR) who sounded like an UNCOUTH UNCLE AND HOOLIGAN on the phone. He was screaming at me and insisted that he would not be responsible for this damage. I was appalled beyond words that there are such businesses around with such low standards and poor aftersales service. Hey, you broke my door frame and now you are saying it is not your business? My advice to my fellow readers in Singapore is NOT TO INSTALL DORMA DOOR CLOSER, unless you are prepared to repair or change it every 2-3 years. It is not worth the trouble because the technicians can come in to do more damage than you can imagine. 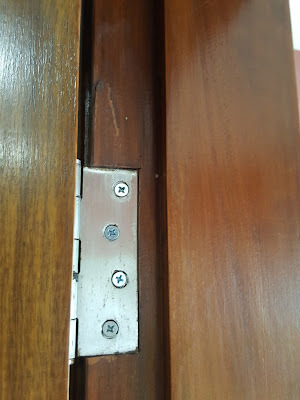 My office had one similar door closer and it had the same problem. When you click into place, 2-3 minutes later it starts to give way and the door closes on its own. And most importantly, NOT TO ENGAGE this hooligan business called S&K DOOR also known as SNKDOOR (but in the receipt it states SK renovation house). 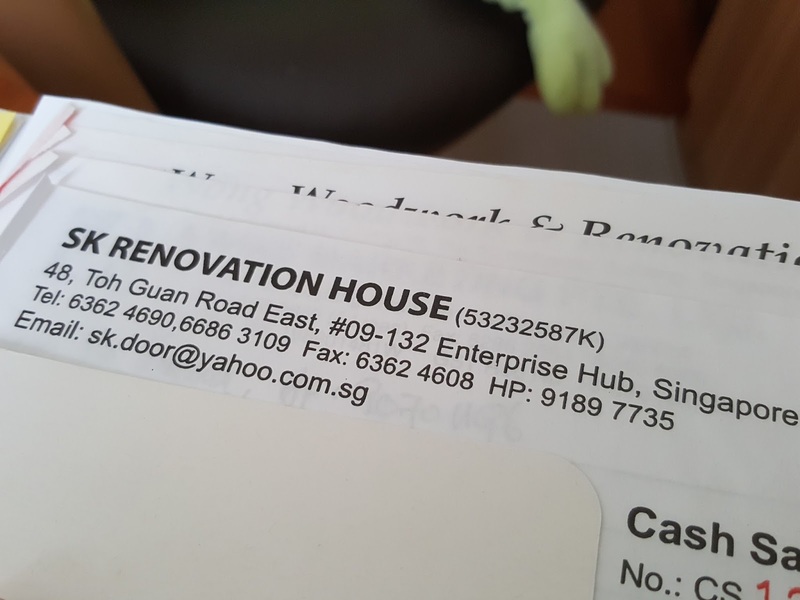 Hey, there are so many other door contractors in Singapore - you are not the only one selling doors. I hope S&K DOOR / SNK DOOR go bust soon. Such service standards will not get you far in this day and age when the consumers are getting more internet savvy. A few months back, I bought a vintage kelly from Reebonz closet. And as you know reebonz claims they have authentication experts to look at the bag throughly or so I thought. Anyway there was another incident when I bought a chanel necklace and thought the hang tag looked a bit off - also through reebonz closet, but did not pursue since it wasn't that big an amount to waste my time on it. Back to the story - I received the bag and decided to send it to Hermes Spa when I am free a few months later. So finally I went to the H store last week. Brought the whole bag including the dust bag - the sales person and her supervisor told me they had never seen the dust bag before. And right after I left the store, she called me again to tell me the dust bag looks odd. Now, for those who do not know, Hermes has this clause in their receipt that if the bag is found not to be genuine, they would without a question destroy the item in Paris. I went home with the clochette of the bag plus the lock (it's an attachment of the kelly and the H staff refuses to take in for spa) and found there was no Hermes engraving on the lock which is even more odd. So I search through the Internet for more photos of the same vintage bag n the ones I came across had the engraving. Puzzled, I emailed Reebonz for a response. They insisted their authentication team are experts and basically tell you to "get lost" kind of email. So this is the kind of response I get after buying so many vintage items from them and being their black or whatever tier member??? I called Hermes to ask them if they do provide any letter (as required proof by Reebonz) in the event that the bag is not authentic or rather fake. They replied no. They don't do that. So what kind of rubbish is this Reebonz? Don't they know Hermes has the most unobliging kind of sales service in the world? It has been a few days since and I am still waiting for a response from the Reebonz side. What I wanted to know is how did they pass the bag and sell me this one with a dubious dust bag? And for your info, Hermes did not send the bag to Paris. They said they have a "craftsman" here to service the bag. Many readers have emailed me to ask about the outcome of this case and I will attached a response from reebonz here, as well as a photo of the dustbag in question. The kelly came back from Spa - hermes didn't reject the bag, so I suppose it's deemed authentic. Only the dustbag they asked me to retrieve back as though it's vermin. Still, I query the intentions of the reebonz seller who wrapped this bag in a fake dust bag, and reebonz did not do justice to send me a fake dust bag either. The closet seller has since not responded to my messages on the dust bag. Thank you for the photos of dust bag attached. I will consult our ateliers for advise. We understand your concerns and the frustrations you experienced. We wish to reiterate that as a service platform we provide to facilitate logistics and authentication, we have no control over the packing materials seller provides. As shared in our tele-conversation, there are instances where seller provides the merchandise with non-original brand name box or dust bag. We would proceed to fulfill the order if the merchandise itself passes our atelier's checklist. We trust that our trained ateliers has delivered their expertise, that the Kelly bag, padlock and keys are genuine. I must apologise that your visit to Hermes boutique landed you in an uncomfortable situation. I can totally empathise with that. 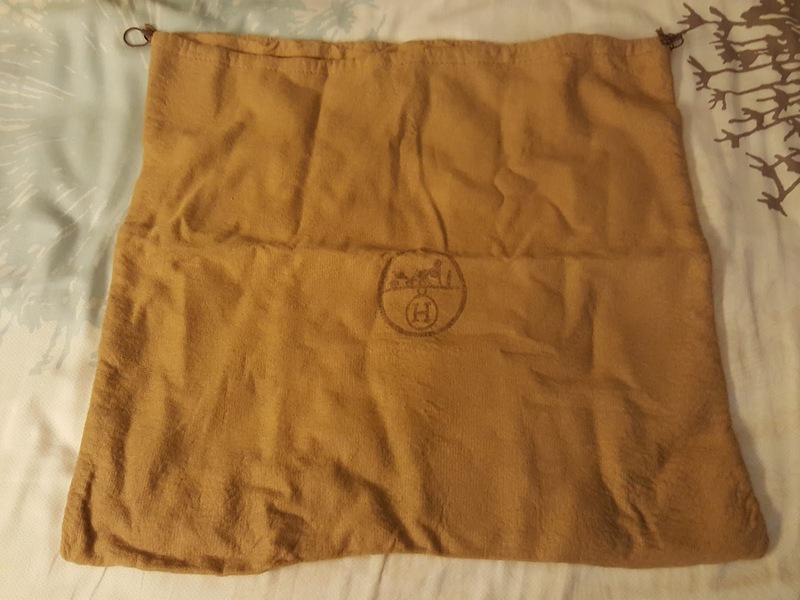 You had also shared with us that the dust bag received was different to the one in the seller's photo listing. She had ignored your queries of the dust bag issue after the transaction went through. 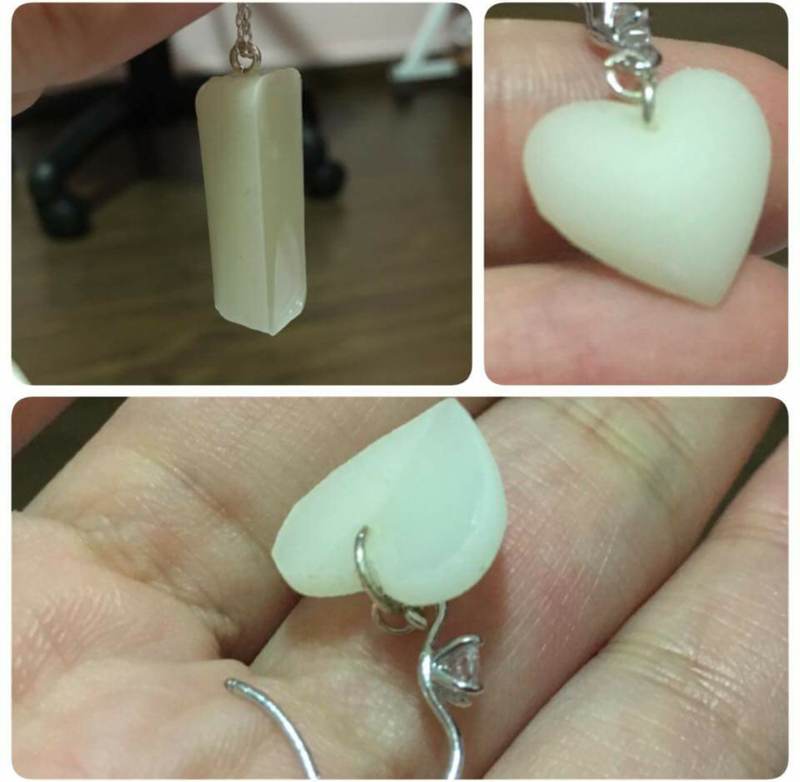 It appeared that we have a case of dishonest seller here. We will look into her account/activities and have her blacklisted if necessary. For the past few months, we have implemented more stringent process to ensure that what we received from seller, is the same as what was listed. In the event that accessories or packing materials differ to listing, we would inform the buyer first before delivering. If the buyer declines to proceed with purchase, we would cancel the order and process a full refund. We value your feedback and take them seriously. We are constantly reviewing our processes to improve our customer experience. I had shared your experience with the Closets committee as case study. We shall await your updates from the Hermes craftsman's evaluation and follow up from there. In the event Hermes certifies that the merchandise you purchase through Reebonz Closets is not authentic, we will do our best to make it right. To save time on cooking confinement food, I ordered confinement tingkat. 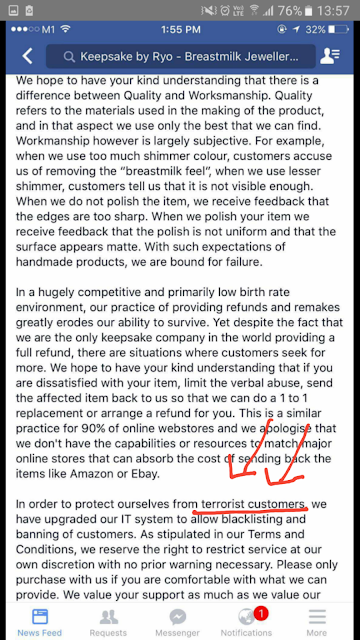 There are some positive reviews on natal essentials on facebook groups ; most of them claimed the food portion was good and arrived warm. I stupidly believed such reviews and order 1 month. Now, on retrospection, the confinement food from TMC was much better - I tasted it when I was in hospital. My main grouse with natal essentials was there was no vegetables for almost every meal. 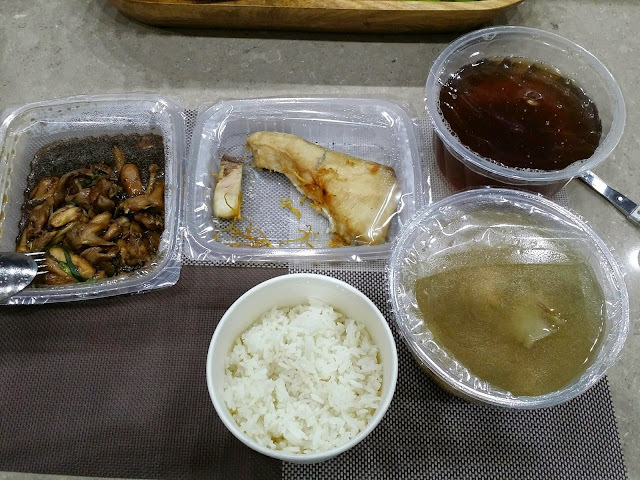 The two dishes were mostly meat and cooked in very unspectacular ways - either braised chicken in soya sauce or steam fish fillet (with a fishy smell) or spare ribs that was rather tough. It's definitely not worth the price for close to $30 per meal. You can take a look at the photos attached. The delivery time was also very early, depending on the driver who was assigned to send your food. There was once my dinner arrived at 3.15 pm! And you can see the time they started preparing the food is way before that. So even if you received your food on time, it means the food has been sitting in their delivery van for hours. The menu was also repeated every week in an uncreative manner. So by third week I was already bored with the menu. I gave my feedback to them but they claimed they could not add vegetables to the menu and asked me to "take it or leave it". 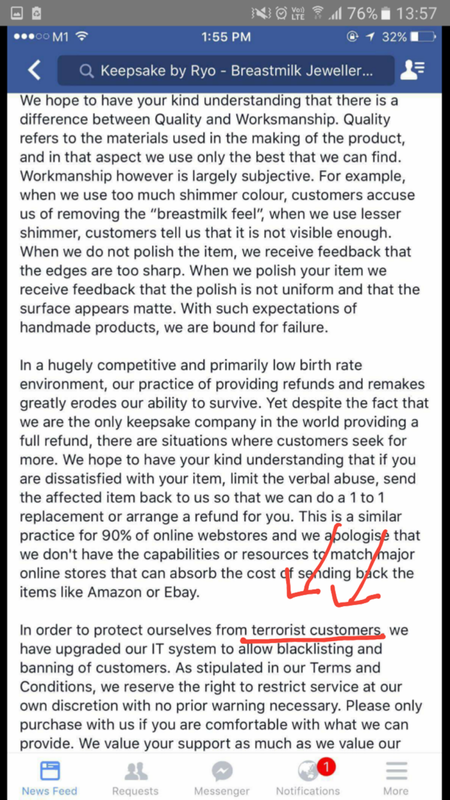 So before you decide to order from natal essentials, please do your research carefully and it's best to order a trial period to assess the food and services. I can't wait for this tingkat service to be over. After reading about the online positive reviews of mdm rokiah and her breast massage, I decided to book a post natal massage package at her shop (jamumassage.com). My first session of massage was a disaster. The masseur was 15 min late because she couldn't find my address. This was despite me informing the shop about my address way before hand. This has a serious impact for a breast feeding mum as this would mean my feeding schedule would be disrupted - my massage was scheduled at 5 pm but it only ended at 7.10 pm! The package includes 60 min body massage and 15 min jamu and abd binder but half of the time the masseur was zooming in and out of the room, leaving me cold and shivering in the air con. The indonesian therapist also couldn't speak a word of English. I have tried to communicate to her that I don't want the binder to be too tight but she doesn't seem to know what I am talking. So if you don't speak bahasa indonesia or malay, please be aware that there are language issues and you are better off hiring a local malay lady who can speak English so that you can communicate your preferences. The massage strokes are quite soft and doesn't do much to relieve the aches and tensions in my body. There was also little focus on the tummy and breasts; of which I am rather surprised. Because post natal massage is supposed to focus on these areas! I don't think she even touch my breasts. As for the hot stone compress - I find it doesn't do much either. It's as good as placing a warm towel - that's about it. There was no massage using the hot stones. And this massage lady actually placed her own pot on my induction hob without even asking me to "boil her stones". That's very very rude for a stranger to come into the house and use your stuff without asking. I don't understand why she had to take so long with the massage. The driver who sent her to my house called me at least 3 times on my handphone during the last 15 min to hurry her. I was just lying there, feeling irritated my phone was ringing repeatedly. The massage ended late. I had a crying baby who demanded to be fed and I had to skip dinner to feed him. Overall, I didn't have a pleasant experience with the massage and wouldn't be continuing my second session. 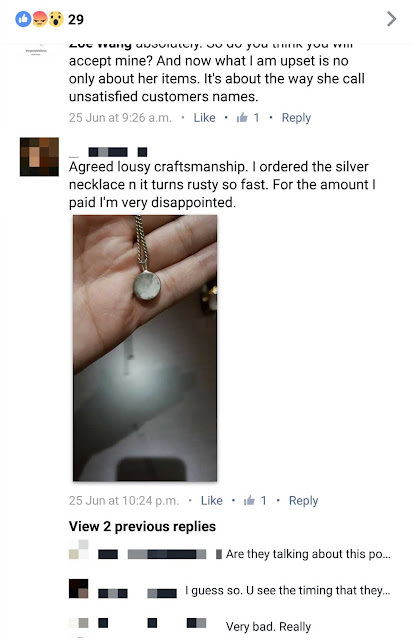 I messaged the shop asking for a refund but there was no reply. The confinement period is already a stressful one for most mothers. I think all these post natal massage shouldn't add on to our stress. I would consider myself rather unfortunate in buying tables and chairs from Picket & Rail. Therefore I am writing this post to warn others not to repeat the same mistake as I did. 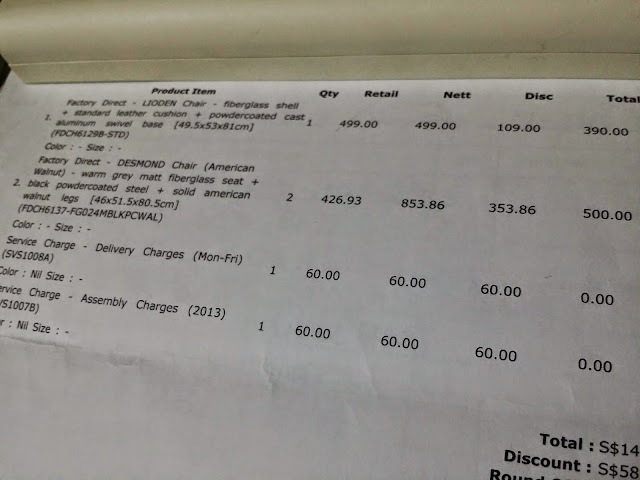 I bought my whole dining set - table and chairs from them. I also bought a hatch chair, lounge chair and 5 fibreglass chairs from them. Their furniture wasn't cheap and from their brochure they claim they made quality replicas from designer range at factory prices - I'd say these are rather low quality replicas. After I paid quite a substantial amount of money, I am made to wait 2 to 3 months for their factory to "custom make". 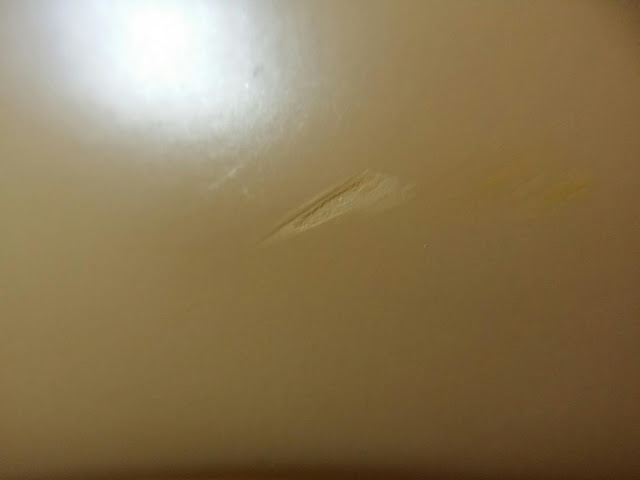 When the delivery date is due, they deliver poor quality items - one of my fibreglass chairs has glue at a prominent spot and cannot be scrubbed off. Two of my dining chairs had poor stitching for the leather cushions and they brought the wrong wooden frame plus nails for my dining table so they couldn't assemble it. Very poor coordination effort! In the end, I waited for more than one month for them to replace my chairs. And I had to keep chasing their delivery department because it seemed they had forgotten about me. And mind you, their customer line is not easy to get through. The worst deal is the fibreglass chairs which I have bought for my study. The chairs are as heavy as a rock and the fibreglass chipped off easily. If you are not careful, the spray paint comes off easily. I don't think you can get rid of stains easily without affecting it's paintwork. For a chair which costs $390, it's definitely not worthy of its price. You can take a look at the photos below to see the scratches. And I hardly sat on them. There are much cheaper replicas of such chairs around at other furniture shops such as fortytwo.sg and you can get them at fraction of $390. The material is also lighter and scratch proof. So you can decide where you want to spend your money. Household fixtures refer to anything which is mounted and not movable. The list below is not exhaustive. For a start, you may consider the following when you do your shopping. As you can see, the list is rather long, so be prepared to give yourself enough time (up to 6 months) complete your shopping. Do not ask your ID to buy your lights. They invariably take commission from your purchase and you will end up paying more than you should. Lights are a matter of personal taste. But if you do go shopping on your own, do note that there are a few less reputable lighting shops along Jalan Besar and balestier who may sell you faulty or broken lights. You may google reno forums for a list of such shops. I bought most of my lights from lighting.com.sg where the price is reasonable. Whereever possible, choose LED or energy saving lights instead of halogen lights which are longer lasting and save electricity. Once your design plan is confirmed, you should start shopping for your lights. On a side note, ask your ID to what type of switches are included in the contract - MK switches give a noisy click when you switch it on. I prefer Legrand switches. If you decide to mount your TV on the wall, you will need to buy the bracket and give the dimensions to your carpenter. You also need to discuss with your electrician where to site your powerpoint. As a rule of thumb, install more power points than you anticipate you will need - you may need to plug in your SCV, your modem, your CCTV, your bluray player etc. You can shop around Courts, Best Denki and Harvey Norman for various models of TV. Most people buy LCD TV which consumes less electricity and produces less heat. If you use a Samsung phone then you might consider a Samsung TV which does mirror screening seamlessly. Ceiling fans are compulsory. Do not leave it out and buy tower fans which take up extra floor space. Ceiling fans cool a living room rapidly and creates a natural breeze. Buy one for living room and one for bedroom. Do note that installation costs money and it is best to ask the fan shop to send his own electrician for their installation. If fans are not installed properly, they may cause a lot problems. Several lighting shops sell ceiling fans as well. The most expensive haiku fans are stylish to look at and costs around 1k each. Do note that you can get them cheaper at certain lighting shops. As mentioned earlier, most ID will insist that you to use their aircon installer. If it is not way out of your budget, I suggest to use their installer. This is because they have to coordinate the laying of the pipes with your false ceiling workers and tilers. Most will return for a separate trip to install the blowers and compressors at a later date. Some ID will not like it if you use your own aircon installer and blame you subsequently for delays in work. You need to get your cooker stove, chimney hob, fridge and ovens (microwave, steam and baking) for building into your kitchen carpentry. Do not wait until the last minute to purchase these items. A good place to source for discounted electronics is Goh Ah Bee (name of the shop in Hougang). However you need to shop around in the malls to get the model numbers and ask for a discount from the retail price. You may also get a washing machine and dryer at the same time. One major mistake I made is to buy a low quality kitchen sink from Ikea. It leaves behind water stains and requires frequent cleaning. Not all grades of stainless steel are the same. Buy good quality taps. When you hold the tap it should feel solid and heavy. Kitchen sinks may be top or undermount. Most showrooms have undermount sinks because they look nicer but you cannot remove them later. Top mount sinks are replaceable, but you will see strips of silicon at the sides and water may seep into your carpenty over time. Choose a double bowl sink so you have adequate space to soak and wash your dishes. If you are getting a water filtration system (I use swisspro), you need to tell your ID early on so that they factor this in the design of your carpentry. These hinges provide soft closing and automatic opening (some are run by powerpoints). 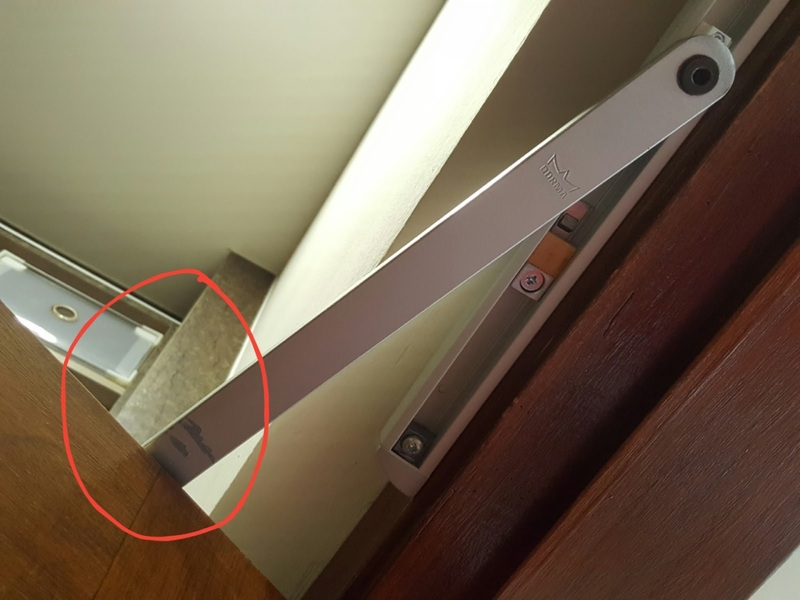 However, not all carpenters have the skills to install BLUM hinges and it is best to look for someone who is familar with it. There are also different hinges to support different size drawers. Your ID may charge you extra for installation. If you buy good quality ones, you will spend a lot of money here. Not all tilers are familiar with designer floor traps - metal ones with tile inserts. You need to purchase early and let your tiler know before the actual work begins. Some of these traps require thicker cement screed so it will be too late to do a retrospect installation later. For taps, shower heads and toilet bowls, check out Toto, Grohe and Hans Grohe showrooms for inspiration. If you like a bargain, purchase the same items from shops along Jalan Besar or Balestier. Most of these shops are happy to provide you with discounts if you buy several items together. PD doors are very in vogue. These doors allow you to slide and push open so that you can save space. But do note that they are prone to damage if you do not know how to use them properly. If you have kids and elderly at home, avoid PD doors. 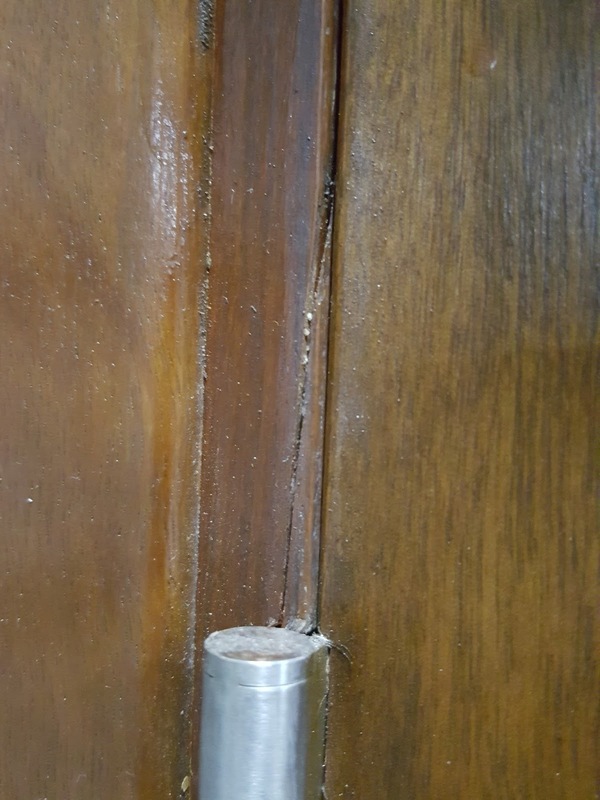 Some guests may break your doors by forcing the mechanism if they do not know how to close a PD door. But you may use them for balconies or other areas because they open fully and provide unobstructed view. Also make sure your ID includes cost of shower screens and wall niches (holes for holding your shampoos) - these are often hidden costs and can cost 1-2 k depending how many toilets you have. These are extra nice things to have. Visit Hafale showrooms for inspiration on wardrobes. Again, the fixtures cost money and make sure you tell your ID who may charge you money for installation. The lights switch on when there is movement or when your wardrobe door opens. There are also other inbuilt smart storage designs at the showroom. Try to avoid exposed open pole systems because they look clutter over time and your clothes will be subjected to mildew if your walk in wardrobe is very near your toilet. Do not forget to ask your carpenter to install lockers for your drawers and leave a space to mount a fireproof security safe. Look for various models of Yale safe with both key and digital locks. If you are not fussy, buy ready made ones from Ikea and get your contractor to mount curtain rods. Custom made curtains cost quite a bit of money. An average size window will cost around $300 depending on the fabric you choose. If you decide to make both day and night curtains, it will cost more. Again, the ID will introduce you his own subcontractor to earn commission. If you have the time, shop for curtains on your own. You can even install the curtains after you have moved in. Most quotation will not include changing these doors. However if you do want to change these doors, choose solid and fireproof wood doors for your main entrance and light veneer doors for your bedrooms. A door closer is a good add-on if you have small kids at home as this prevents the slamming of doors. 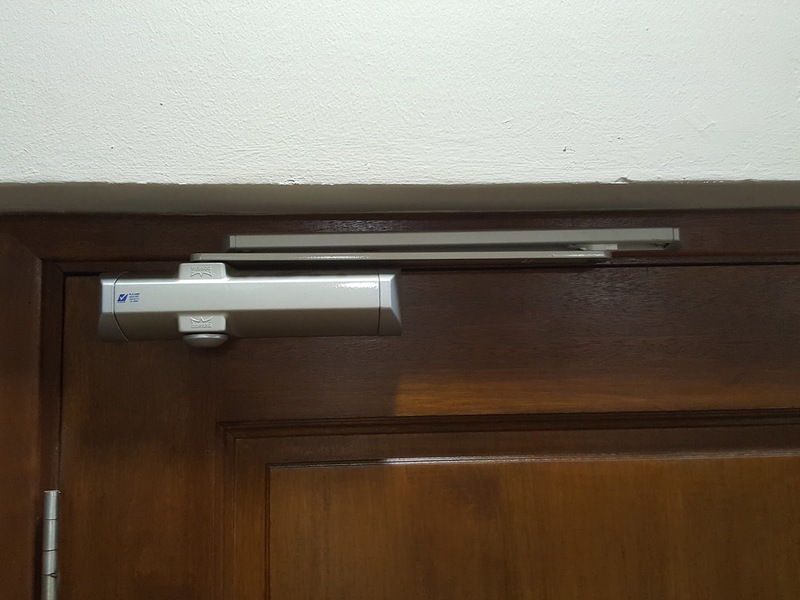 However, some door closers need you to custom make your doors, especially those with hidden mechanisms. I use dorma door closer for my main and bedroom doors. You may also consider install biometric digital locks for your main door. Most of the door contractors will be able to provide you with appropriate advice when you select your doors. So good luck on your renovation journey! If you have any queries, please feel free to drop a comment below.